Follow your heart. It’s easier said than done when it comes to business. But for entrepreneur Bob Goldberg, the name of his vegan food company – Follow Your Heart – is a constant reminder that it’s possible to be profitable and stay true to your company’s idealistic, founding principles. And that idealism has paid off. 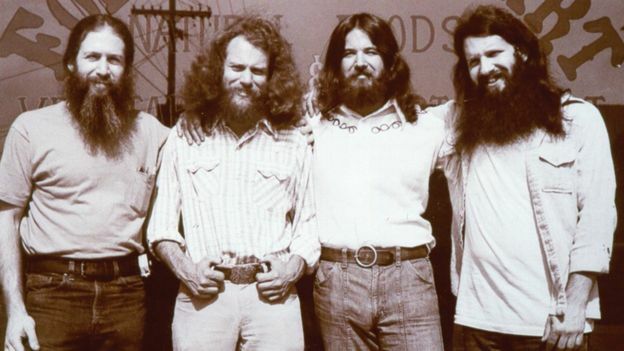 When a then 25-year-old Mr Goldberg and three male friends started selling vegetarian food out of their Los Angeles cafe in 1970, it was to a hippie, counterculture crowd. 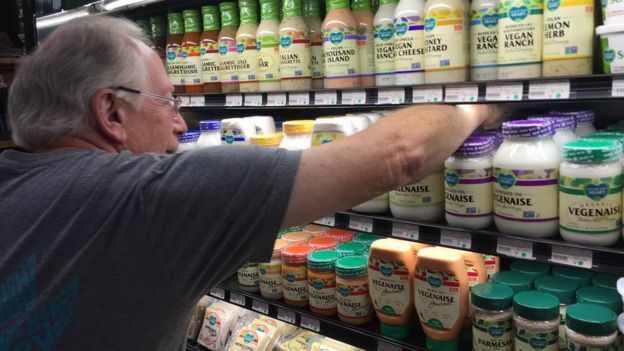 Now the company manufactures and distributes millions of jars of Vegenaise, its egg-free mayonnaise substitute, plus numerous vegan cheeses, and a host of other vegan and gluten-free products. With the firm expected to turn over between $40m (£32m) and $50m (£40m) this financial year, clearly vegan food, and meat and dairy alternatives, are no longer counterculture. 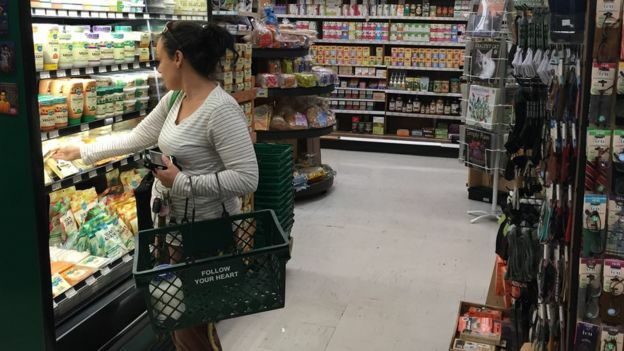 That cafe in the Canoga Park suburb of Los Angeles was in the back of a grocery store, and catered to a crowd eager for sprout and avocado sandwiches, and maybe a wind chime and some incense. Soon the four men took over the store as well, and followed their hearts by removing all the meat products. People told them they were crazy and that the business would never survive. “Instead of crashing and burning immediately the store became very successful,” says Mr Goldberg, who is now 71. From the very beginning Mr Goldberg’s corporate mission was to be environmental, compassionate, vegetarian – and profitable. His founding ideals also included “not spending half my life on an airplane”, so opening dozens of other shops was not going to be on the agenda. 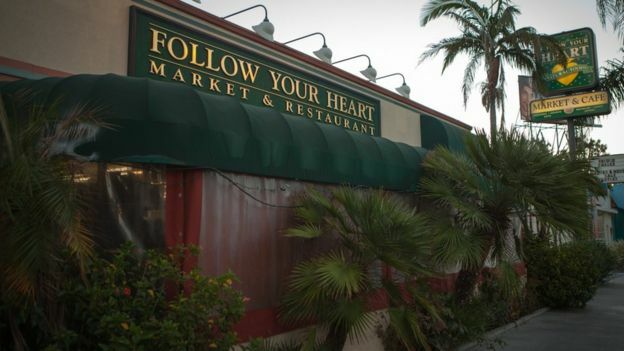 So while a cafe and store in Canoga Park is thriving after 46 years, the main part of Follow Your Heart is its wholesale business, based in a manufacturing facility a few miles away. Products are made here and distributed to retailers both across the US and worldwide. However, things did not always go smoothly at the business. An attempt to open a second cafe and store in Santa Barbara, 100 miles (160km) north of Los Angeles failed, and in the mid-1980s two of the founders left the business because they didn’t get backing for their wish to open a network of shops. The pair were ultimately bought out by Mr Goldberg and the other remaining co-founder Paul Lewin, who continue to run the company between them. The company also had to cope with the 1994 Los Angeles earthquake badly damaging the cafe. On a recent tour through the expanding factory, Mr Goldberg points out the skylights and solar power, and talks about strategies for managing the firm’s global footprint. Workers in white lab coats and hairnets stir vast batches of Vegenaise and vegan cheese. By the loading dock, a tanker truck unloads 10,000 gallons of grapeseed oil into a tank. “We can go through one of these tanks in a shift,” says Mr Goldberg, who now employs about 225 people and sells products in 17 countries outside the US including the UK, Israel and Mexico. Exports account for more than 10% of their total sales. When Follow Your Heart started, the word “vegan” wasn’t widely used or known. Now the company markets most of its products as “plant based” to a growing demand for health-conscious consumers. And along the way, Mr Goldberg – who has the chief executive job title – has chosen to stay independent, shunning increasingly frequent offers from venture capitalists interested in the now hot vegan market. “There’s been a lot of interest from investors,” he says, adding that he has never been tempted to accept outside money to grow faster. “It’s very difficult for companies to grow and maintain their values. And I’m very focused on that,” he says, explaining that he never wants to put shareholder interest above what’s right for his customers, employees and products. Brian Todd, chief executive of US food industry information service The Food Institute, says Follow Your Heart was uniquely ahead of the curve when it comes to the growing demand for vegan and vegetarian products. “They started slowly and built a very good business,” says Mr Todd. He contrasts this with the pressure on newer firms in the sector to grow as quickly as possible, which can be destabilising. 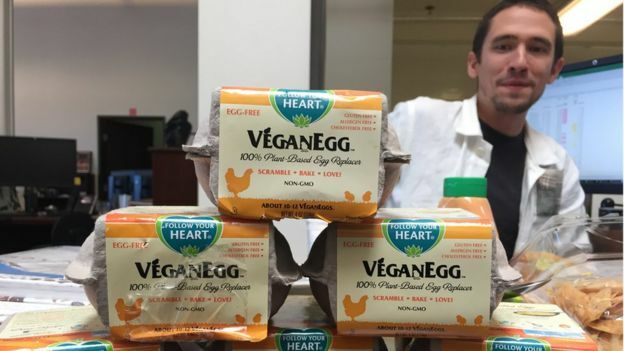 Back at Follow Your Heart, Mr Goldberg says that the now mainstream interest in vegan products is like seeing his dream realised. But he adds that the best part about the revolution in alternative products for vegetarians and vegans is the big increase in variety. Being vegetarian is an ethical choice for him, but he remembers the taste of sausages and pot roasts fondly from his Chicago childhood. And he was awfully tired of sprouts.